Now, he's struggling to stay healthy and would be in year two of a nine-figure contract. 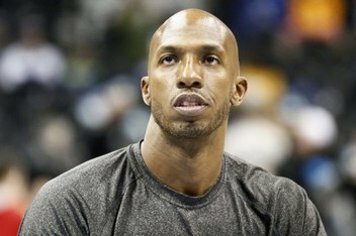 So the question begs asking: Are the Lakers better off sans Superman? Here's an even more fun question: Did they know they might be all along? 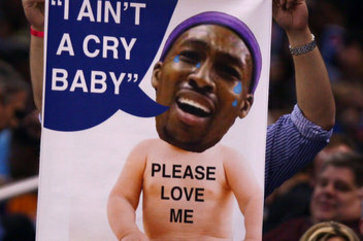 #StayDwight felt forced. That's just not the Laker way. 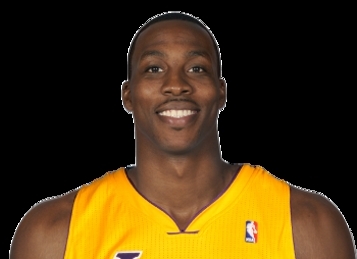 I never wanted Dwight in LA, main reason is because he had no post game but also he didn't want to be here either. I'm not sure what's up with LA's management or training staff but they seem to bypass player's back issues. Howard was coming off a back injury which will surely cause bilateral injuries, Nash's back issues have been known for years but they felt he was worth the risk at four picks, two of them being first rounders. That to me coupled with Howard and Pau leaving without any compensation are fire able offenses to me. Howard is far from perfect that's for sure. But he is a great player, yes he has his faults, yes he can't do everything, but then maybe that's the problem... People wanted him to be the next Wilt Chamberlan or to be as bright a star as Kobe... maybe it's his own fault, maybe not, but he isn't either of those things, but he is a great basketball player. And I wouldn't have minded if he stayed a Laker... He wouldn't have been the best player on the team but he would have been good to have on the team. being that he said he didn't want to be a Laker, and was willing to give up the money to still go be second fiddle to a different ball dominant 2 guard lol. 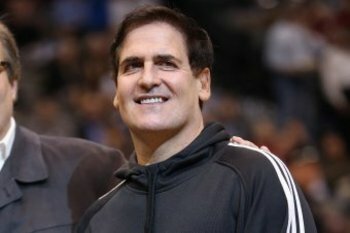 I'd wished we'd dodged a Dwight Howard-sized Bullet trading him when we could, and getting something in return. Because it's been brought up, it's easy to sit here now and say the Lakers should have traded him tot he Warriors for Thompson and Bogut. Thompson is having a great year and it only 25 years old. It's easy to ask now, why would the Warriors give up that much for Thompson? I believe the the Lakers could have gotten Thompson but from what I remember they wanted Thompson and Barnes and if they couldn't get them both they really felt like they had a chance to keep Dwight. It's in the past now and should probably stay there. If you look hard enough the Lakers could have a bright future. Randle should come back healthy next year. We should be adding another top 5 pick (hopefully), and the Lakers will have tons of cap space the next couple of years. Dwight Howard's a soft a** bii**h!! I also noticed that the Lakers would ask for a lot for either Gasol or Howard and IMO I feel they were asking for too much for guys who didn't have much left on their contracts. Other management teams weren't willing to offer much for Howard if he was going to be a one year rental, this is where our management team's arrogance showed. They just felt he'd re-sign once he was in LA. LA's stance for Gasol and Howard was they wanted the on and stars for either one and teams weren't offering that. I don't agree in totally taking a lowball offer but some of the deals I read about in the past weren't too bad IMO. I consider Howard a good player but not to the tune of 5 years and 119 million. I just never considered him a max player and that's why I'm glad we dodged that bullet. I am looking forward to next years roster. With Kobe back, our top 5 pick, Randle back, Clarkson with some experience, hopefully Davis signed up, Hill back and signed up or traded off for someone else beneficial (or draftee), a good mid-level FA, maybe an upper-level FA (or a second mid-level FA), and back in the playoff picture... even if only in the battle for the 8th playoff seed. ← Ed Davis WILL Opt Out. → Why Are the 2014-15 Lakers So Awful?